Hopefully this doesn’t crush your Christmas wish, but new data suggests that U.S. adults aren’t getting any taller but they are sure getting fatter, according to a report released by the Centers for Disease Control and Prevention on Thursday. Despite the knowledge of the current obesity epidemic, this report looked at the height, weight, body-mass index (BMI) and waist circumference of American adults. This report served to update a 2004 report on these trends between 1960 and 2002 by using data from 47,233 Americans over the age of 20, gathered from the National Health and Nutrition Examination Surveys from 1999 to 2016. Per the CDC’s report, the average weight of American men in 2016 was 197.9 pounds; for women, it was 170.6 pounds. This is up from 189.4 pounds and 163.8 pounds, respectively, in 1999. Black men, Mexican-American women and Asian men and women were the only groups in the report that did not show a significant increase in weight over that period. Since the CDC’s records date back to the 1960s, we have a strong background of data to compare current measurements against. In the 1960’s, the average man was a little over 5 feet, 8 inches tall and weighed 166 pounds, while the average woman in the early 1960s was 5 feet, 3 inches and 140 pounds. Now, men are almost one inch taller and more than 30 pounds heavier, according to the report. But today’s average height of 5 feet, 9 inches is about a tenth of an inch shorter than about a decade ago. Today’s women are a half-inch taller and about 30 pounds heavier, on average. The average height is about the same as it was a decade earlier: 5 feet, 4 inches. 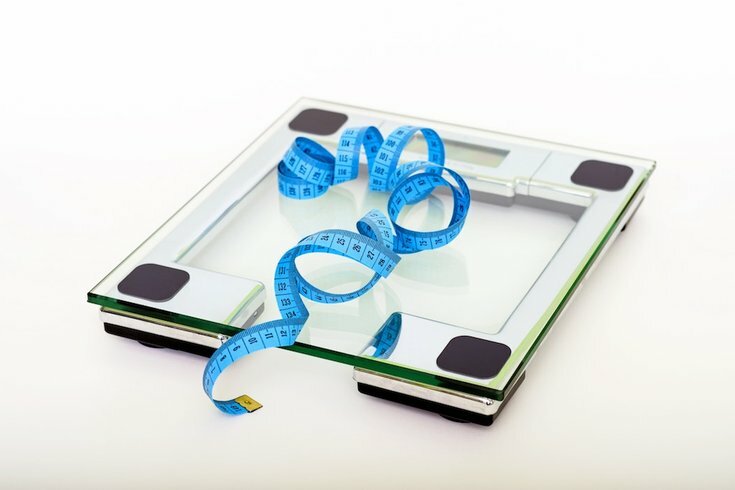 BMI, a formula involving height and weight, has also increased. In 2016, the average BMI was 29.1 for men and 29.6 for women. Both numbers have grown since 2000 when they were 27.8 in men and 28.2 in women. According to the CDC, a normal or healthy BMI is between 18.5 and 24.9 for both men and women. A BMI of 25 to 29.9 is considered overweight. As for waist size, the average waist circumference also increased more than one inch in men and two inches in women. Men’s waists went from 39 inches in 1999 to 40.2 inches in 2015. For women, the measurement went from 36.3 inches 38.6 inches. "Medical costs to care for patients with obesity are estimated to be as high as $210 billion per year. In addition, obesity is associated with job absenteeism and lower productivity while at work, costing the system more than $6 billion each year." A good way to combat this increase in weight and waist size is through diet and exercise. However, Kraschnewski notes: "the complexity of the many causes of obesity require that any solution be equally complex," she said, citing community and policy approaches such as soda taxes.